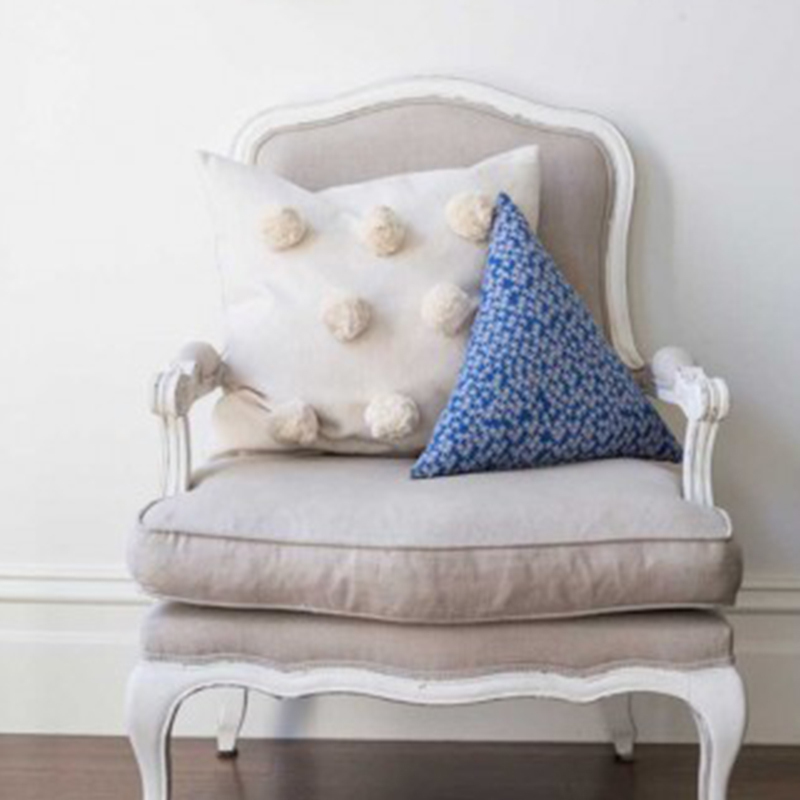 A whimsical yet cool and classic cushion. 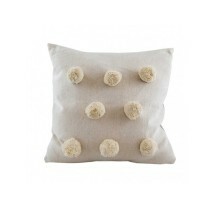 Off white cushion measuring 50x50cm with 8 large cream pom poms on the front. Removable cover, comes with a feather inner. This unique cushion adds a novel twist to any room. Style with any of our velvet cushions or any of the Palm, Basics, Flamingo or Swan collection. 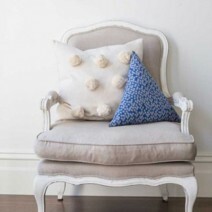 Not just for summer, this cushion also makes a great decoration for winter, as the pomp poms resemble snow balls. Love pom poms as much as we do? 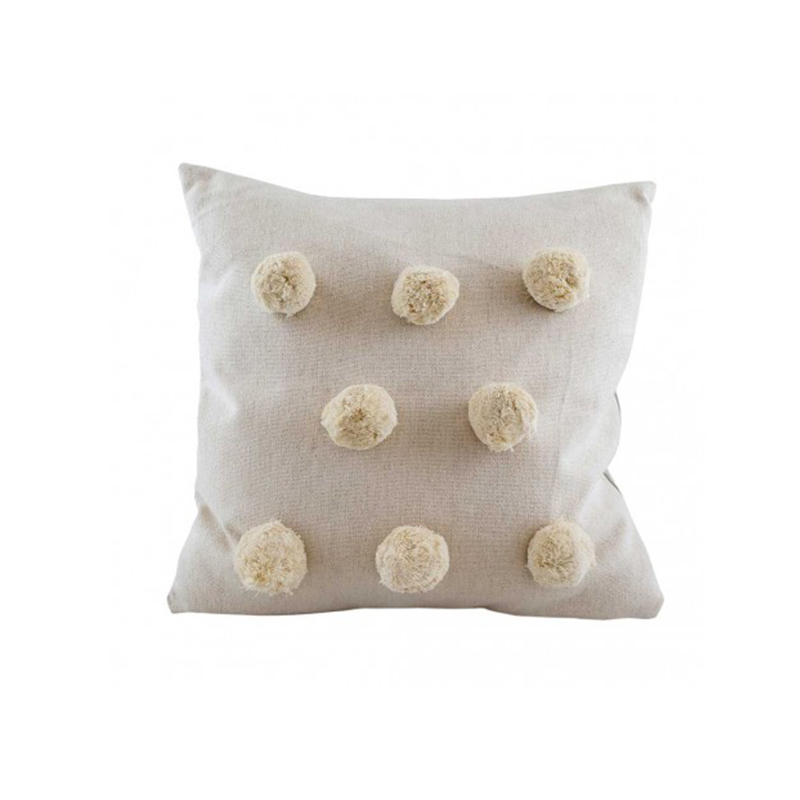 This cushion also comes in grey and raven and we also have our Chambray pom pom cushions, which have a pom pom trim and come in taupe, charcoal and grey. Take a look at our Basics range for more. All Raine and Humble textiles are made in their own factory in India by third generation cotton producers. Everything is ethically produced using traditional dying methods and innovative weaving and washing methods to give different textures. All employees are paid fair wages and work in ideal working conditions with no child employment. They truly believe that every person born in this world must have the right to lead a healthy life with a promising future. Supporting the lives of orphans and local communities is at the very heart of the company's core values and giving philosophy. They work with organizations that enhance livelihood, income generation and micro-enterprise development. All cushions come with non-live plucked feather pads, meaning that all the feathers used are a by-product of the meat industry, reducing wastage.